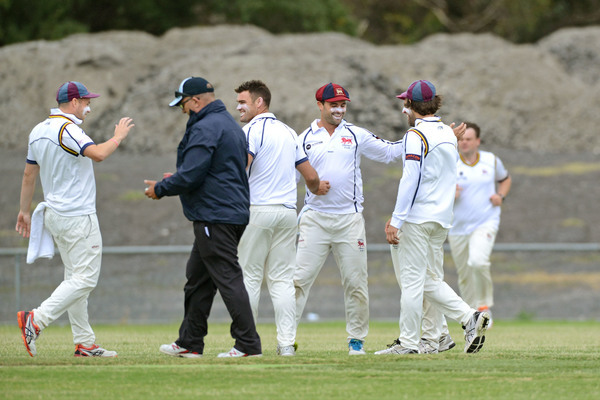 Both Kooweerup and Pakenham have been the benchmark first XI sides of the WGCA’s top tier for years now. The Demons have emerged victorious over the Lions in each of the past two grand finals – including the famous low-scoring thriller of 2016/17. But it was the Lions who kick-started the newest chapter of the two clubs’ famous rivalry with victory on home soil the year before in 2015/16. And Saturday delivered a very real reminder that the Lions are capable of a repeat performance in this finals series. Of course, nothing is guaranteed – particularly in a final four series where the top two qualifiers earn a home semi-final, but not a double-chance. Anything can happen, and often does, in the WGCA Premier finals and no one would dare get ahead of themselves. The Demons entered Round 12 in a familiar position – atop the ladder – and would hardly be discouraged by their performance against the Lions. Champion sides, particularly of the calibre of Mark Cooper’s group, don’t let themselves rise and fall too much with the results of individual games. But by contrast, the Lions would have reason to be buoyed by their own performance. Lacking an out-and-out quick to spearhead the attack, Rob Elston’s group relies on a real group effort with the ball in each game. From a disastrous 6/51, the Lions recovered on day one to reach 192. It was made even more impressive given the calibre of the Kooweerup attack. From part-way through the day until stumps the narrative changed drastically – from the Lions looking down and out, to being up to their eyeballs in the fight. The first clash of the season between the two sides was washed out, so this was their first real litmus test since last year’s grand final. On day two, Cooper and Chris O’Hara set the foundation of the Demons’ chase with a 43-run stand. But, uncharacteristically, Kooweerup wasn’t able to truly build from it. An under-the-weather Cooper was dismissed for 11 by Dale Tormey – who bowled an impressive 25 overs, taking 1/46 as a first change bowler – and the wickets continued to fall at a steady rate thereafter. Ultimately, the visitors were dismissed for 161 in the 71st over with O’Hara top-scoring with 43. The Demons’ middle order produced a series of starts, but they were countered by untimely dismissals – often to rash shots. Of the 10 Kooweerup wickets to fall, nine were to catches and not a single one was caught behind by Elston. Chris Bright (18), Mitch Cammarano (25), Luke McMaster (18), and Jess Mathers (17) each showed flashes but couldn’t ignite the spark to keep the innings powering. On the other side of the equation, Chris Smith (3/20 from 10 overs), Tormey, Sean Gramc (2/31 from his nine), and Jason Williams (3/31 from his 15) each had a telling impact. In the wake of the clash, which saw his side leapfrog the Demons into top spot on the ladder by mere percentage points, Elston was particularly measured. “Obviously we would have preferred another 50 runs on the board, but considering the position we were in 192 was a great result and something to bowl to,” he said. The start of play on day two was delayed by a touch over an hour. It was a case of all hands on deck from the Pakenham perspective to get the pitch up to scratch. “The bowlers (when play resumed) adjusted really well and just got on with the job,” Elston said. There were missed opportunities throughout the day with some catches going to ground, but generally the Lions took key wickets right when it mattered most. “Dale Tormey was instrumental in getting the win,” Elston said. “While he didn’t take a bag of wickets, he was able to control one end and kept things really tight while still threatening and looking dangerous. “Jason Williams finally got some rewards for the outstanding bowling he has been delivering. His ability to spin the ball considerably while maintaining excellent control and keeping things tight was imperative to us getting through there middle order. “Chris Smith again showed his amazing all-around ability and came on at a crucial time taking 3/7 to take the game from an even contest to one that was in our advantage. He’s an amazing competitor and, not for the first time, turned in a big spell or performance to help us get a victory. But a clash between another two potential finalists couldn’t have been more contrasting, with Clyde (9/91) stumbling over the line against a slumping Cardinia (75). The Cougars resumed on day two at a nightmarish 4/27, staring down the barrel of an embarrassing result given the target they were set. But despite losing a series of wickets throughout a tense period on the second day – even sliding all the way to 8/38 – they found it within themselves to claw their way to a crucial win. 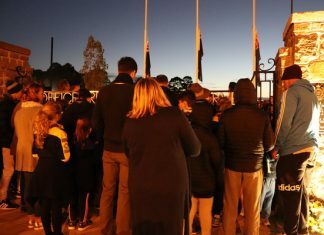 Kane Avard scored what would surely be the best unbeaten 23 of his life so far – playing the anchor role and seeing off more than 75 deliveries – while Nick Sadler (21) and Liam Bennett (10) remained stoic at the death. Without them, the result would have been reversed. It’s that simple. James Giertz (6/45) and Travis Wheller (2/24) were the shining lights with the ball for the Bulls, who nearly recorded an astonishing win. Clyde skipper Kiefer Peries admitted that the clash was “a massive game”, adding his group spoke about what was on the line against their local rivals. “They beat us on our own turf at the start of the year and that hurt a lot of the boys,” he said. “You couldn’t fault our bowlers, but we let ourselves down with the bat – not only in this game, but the whole season. Peries is at the helm of a new-look side in 2018/19 – a group stacked with new faces, or those returning after a stint away from the club. He belongs in that camp, himself, and knows better than anyone the growing pains the new first XI has gone through together. “Early on in the year, it was about finding out where people fit into the team,” he explained. “We had a fair few new inclusions, particularly with the bat. “At the start of the year we lacked that confidence, or knowing our individual roles, and those five to 10-over lapses really hurt us. Peries praised the Bulls for continuing to fight right until the death on Saturday, despite having such a meagre total to defend. “Credit to Cardy – they had to fight, and they did, but Kane Avard was a real standout for us,” he said. “For him to bat the way he did was brilliant. “He likes to score and be free, but to change the way he plays for the team was amazing. To get us over the line was massive, and we saw the passion in him after the game. “He’s starting to reap the rewards because he’s probably been one of our better batters. 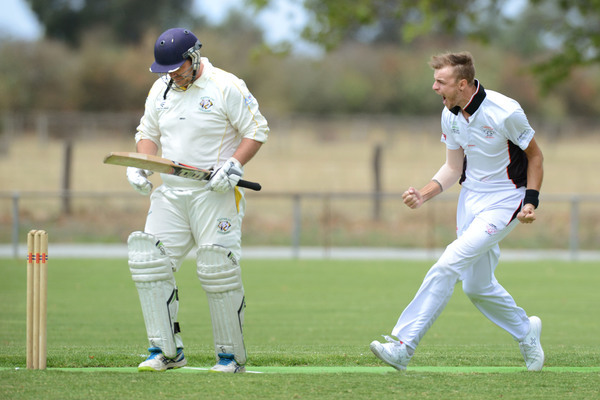 Elsewhere, in another battle of the potential finalists, Tooradin (4/143) recorded a six-wicket win at home over Devon Meadows (138) off the back of an unbeaten captain’s knock from Cal O’Hare (70). The Panthers’ total never seemed enough, and the Seagulls remained positive throughout their reply – which was spearheaded by O’Hare’s knock. 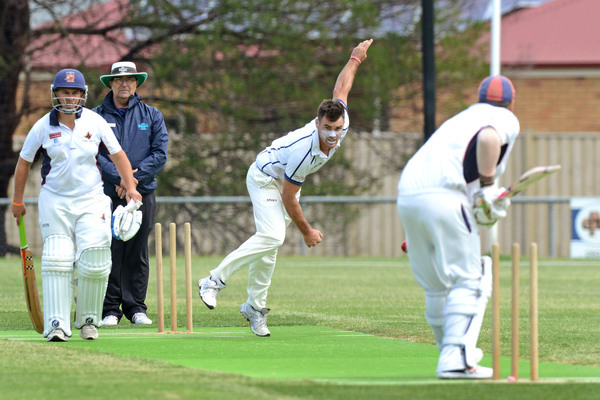 Meanwhile, in the battle to stave off relegation back to the District division, Merinda Park took the upper hand courtesy of an impressive seven-wicket win. Chasing the Maroons’ 8/238, the Cobras had it all ahead of them, but as he’s done for so long throughout his impressive career to date, Daniel McCalman took much of the run-scoring responsibility upon his shoulders. His sparkling, unbeaten 111 took his season tally in the Premier grade so far this season to 520 runs at an average of 57.8 – highlighting just what a top-class player he truly is. The Cobras ultimately finished on 3/239 in 62 overs with McCalman ably supported by Mitch Thomas (62 in a 132-run opening stand), Karanbir Tiwana (26), and Jordon Thomas (27 not out).